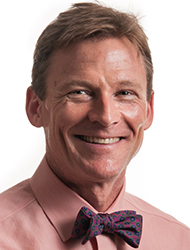 Dr. Wallace is the chief medical officer at Bastyr Center for Natural Health, where he supervises student physicians in the Department of Naturopathic Medicine. He also sees patients in private practice at Bastyr Center. Dr. Wallace sees patients with a wide variety of ailments. Dr. Wallace strives to support the healing power of nature — one of the core tenets of naturopathic medicine — through the use of nutrition, lifestyle counseling, natural therapeutics and a strong commitment to the doctor-patient relationship. Dr. Wallace has been a clinical faculty member at Bastyr Center since 1998 and in private practice since 1996. Dr. Wallace holds an ND from Bastyr University and completed two years of residency at Bastyr Center. He holds an MS in electrical engineering from Boston University and a BA in anthropology from the University of Pennsylvania. He is a member of the American Association of Naturopathic Physicians and the Washington Association of Naturopathic Physicians.